"So sad to lose Kim. Condolences and prayers to the family." Kimberly A. "Kim" Freed, 43, of Manheim, passed away Friday, April 12, 2019, at Penn State Milton S. Hershey Medical Center. Born in Fountain Springs, she was a daughter of Jerry and Lois Berresford Freed, of Aristes. 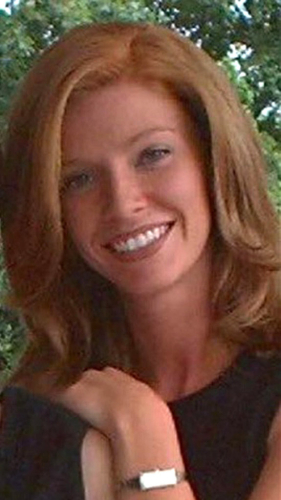 Kim was the loving fiancée of Curt Shenk for several years. She was a proud 1994 graduate of North Schuylkill High School. Kim was a member of Lavelle Church of the Nazarene, Lavelle. She was a social member of the Mastersonville Fire Company and enjoyed listening to and attending auctions. Kim was a die-hard Philadelphia Eagles fan, who also had a love for playing and watching softball. She had a fond love for animals, especially her cats. Surviving, in addition to her parents, Jerry and Lois, and her fiancé, Curt, is a brother, Gerald Freed, Numedia; her fiancé's children, Alex, husband of Morgan Shenk, Manheim, Ashley Shenk, Lancaster, and Gianna Shenk, New Jersey. Kim will be lovingly missed by her many aunts, uncles, cousins and her fiancé's immediate and extended family. Relatives and friends are respectfully invited to attend Kim's funeral service at 2 p.m. Wednesday, April 17, at East Fairview Church of the Brethren, 1187 Fairview Road, Manheim. Friends may visit with the family from 1 p.m. until the time of service. Interment will be in the adjoining church cemetery. Those desiring may send contributions in Kim's memory to East Fairview Church of the Brethren, 1187 Fairview Road, Manheim, PA 17545, or to Lavelle Church of the Nazarene, 2879 Fairgrounds Road, Lavelle, PA 17943. To send the family online condolences, please visit www.BuchFuneral.com. Buch Funeral Home, Manheim, handled the arrangements.